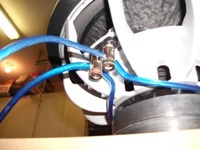 Emery.H - Car Audio Forum - Car Audio's Forum! Emery.H had the most liked content! "expected release date july 9th"
This guy has been through a ton with different tuners to get a tune for the f23t. they're at ~360 tq and 336 hp http://www.golfmk6.com/forums/showthread.php?t=64561&highlight=frankenturbo On to the goods! Did you drive one yet? Drove an FRS over the weekend. NEEDS TORQUE! I think the GTI spoils me. We have had rain, crazy hail, sunny as all hell, harsh winds, and fog all at different times today. Did much better than i expected, that's for sure. Didn't have any problems at all.